I ended part 1 with the creation of the SDR ISO. This ISO can be used with VMs (though you probably wouldn’t restore VMs with this) or burned to a CD for physical systems. Once the SDR disc is created, boot a machine with it in order to perform a system recovery. 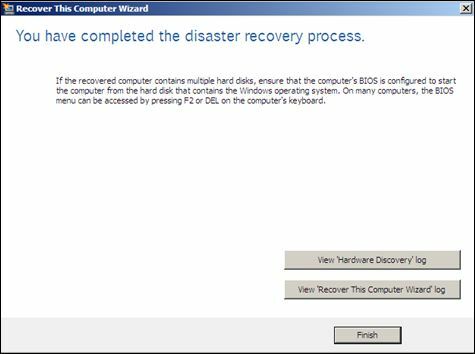 You start a computer with the Simplified Disaster Recovery Disk, and then use the Recover This Computer link on the Recovery tab to recover the computer. 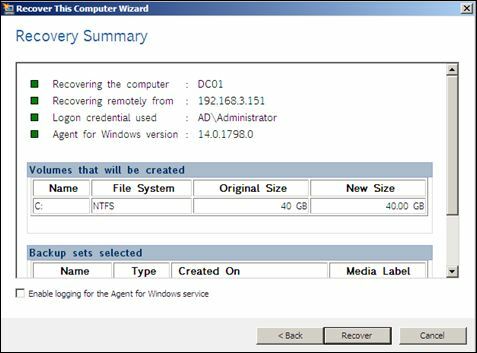 The recovery disk uses a minimal version of the Windows 7 operating system and contains many of the drivers that are required to recover your computer. 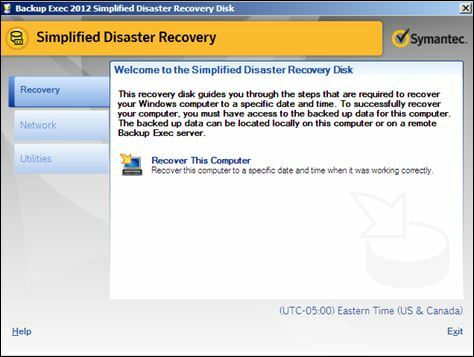 In many cases, the generic Simplified Disaster Recovery Disk can be used to completely recover the computer. 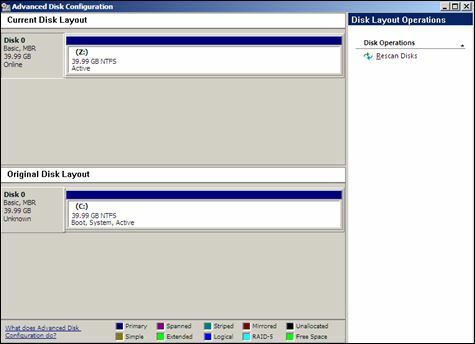 However, if you change the computer’s hardware after the last SDR backup, the generic Simplified Disaster Recovery Disk might not be sufficient to recover the computer. 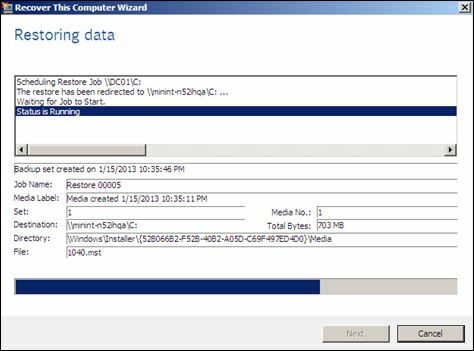 You should run the Create Simplified Disaster Recovery Disk Wizard to determine if the generic Simplified Disaster Recovery Disk recognizes any new hardware drivers that are not present in its driver database. 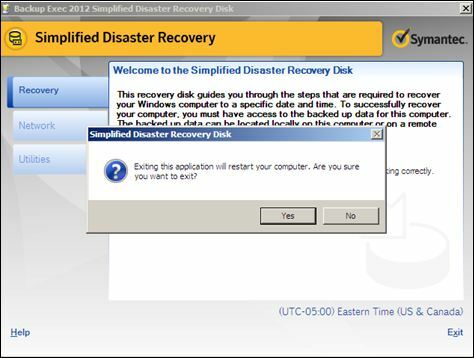 If the drivers are present, you can use the generic Simplified Disaster Recovery Disk to recover the computer. 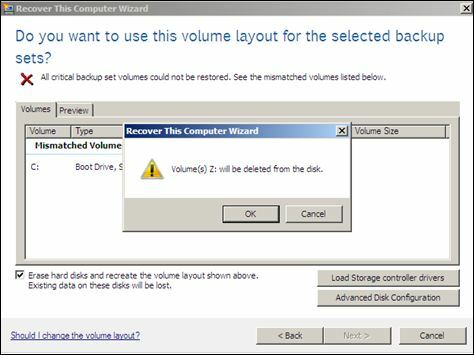 Otherwise, use the Create Simplified Disaster Recovery Disk Wizard to create a custom Simplified Disaster Recovery Disk for the computer, and then store the custom recovery disk in a safe location. With that, I booted my new machine with my SDR Disc (after ensuring the CD-ROM was listed first in the boot order in the BIOS). 1. 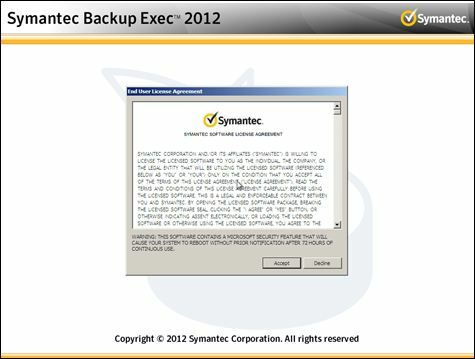 When prompted, accept the Symantec license agreement. 3. 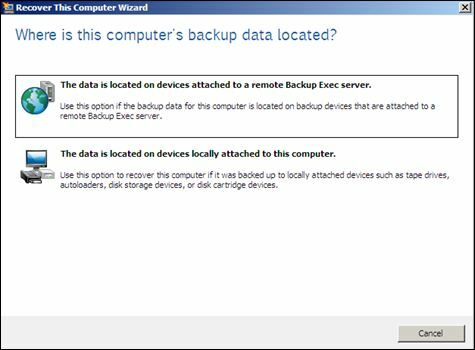 On the Where is this computer’s backup data located screen, select The data is located on devices attached to a remote Backup Exec server. 5. 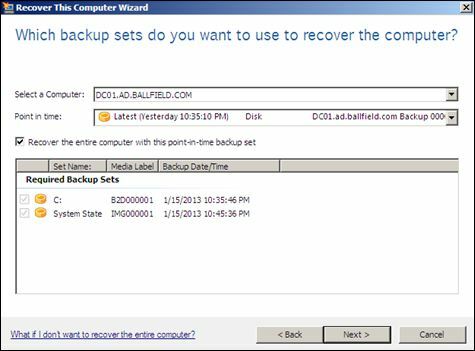 On the Which backup sets to recover screen, select the Computer and Point in time of the backup to restore and click Next. 6. 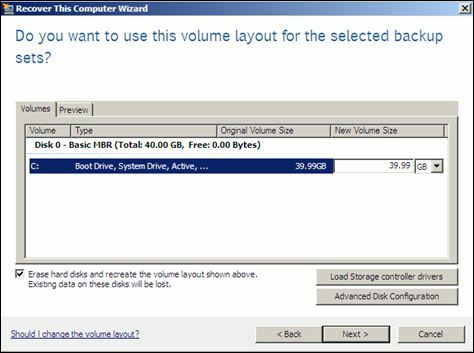 On the Do you want to use this volume layout for the specified backup sets screen, assuming your disk configuration is the same, you should be able to select your disk and click Next. However, I had a problem in that the wizard believe my new disk configuration was different, though it wasn’t (second screenshot). I ended up enabling the option to “Erase hard disks and recreate the volume layout shown above” to get past the disk layout problem. Once the problem with the disk layout was “resolved”, I clicked Next…..
7. On the Recovery Summary screen, click Recover to begin the restoration. 8. The server is restored as shown below. When the recovery process completes, click Finish. 9. 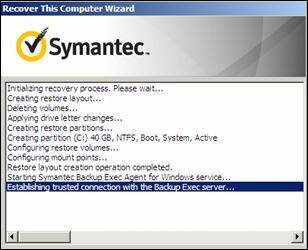 On the main recovery screen, click Exit and reboot the server. 10. When the server boot, test Active Directory. This was just an easy test with a single domain controller. If multiple domain controllers existed in the environment, you could use the same process to restore them or you may decide to build new domain controllers in a virtual environment. 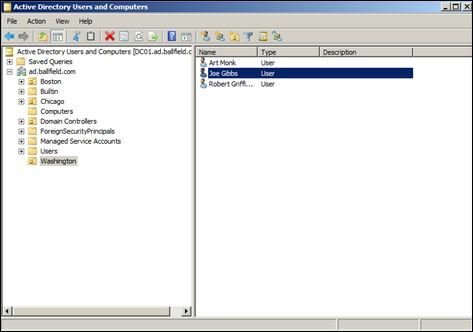 If you will not restore other domain controllers, use NTDSUTIL to seize any FSMO roles and remove those domain controllers before you introduce new DCs into the domain. 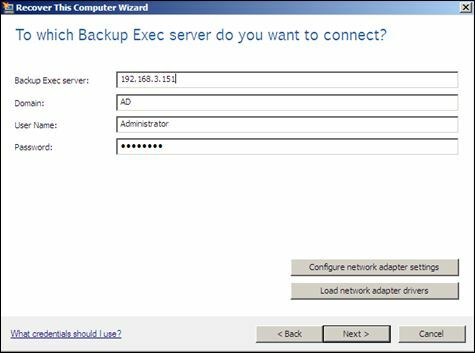 Certainly there are many ways to restore servers….I’m not saying this is the only, or even the best way to do so, but I was impressed with how easy Backup Exec has made the recovery process. Typically I work with virtual servers so I may never run this process again but I believe its beneficial to know. 1) do i need to install OS and BE agent before i run SDR? or i can just boot directly using SDR disc? 2) network cable must be connected?